Get your creative career going! Explore the dynamic world of the visual arts, film, television, and music. The Arts & Entertainment career community will provide you with industry insights and information on positions in production companies, music companies, arts organizations, and more! Every two years, Lizzie Turkevich—freelance television producer—goes to the Olympics. For work. (Yup, seriously.) In fact, she was in the midst of a 30-hour trip to South Korea as she was answering these questions. Attention all students interested in TV, Radio, Broadcast, Journalism, and Communications! Please see information below about this External event. This is not a UCLA Extension hosted event. 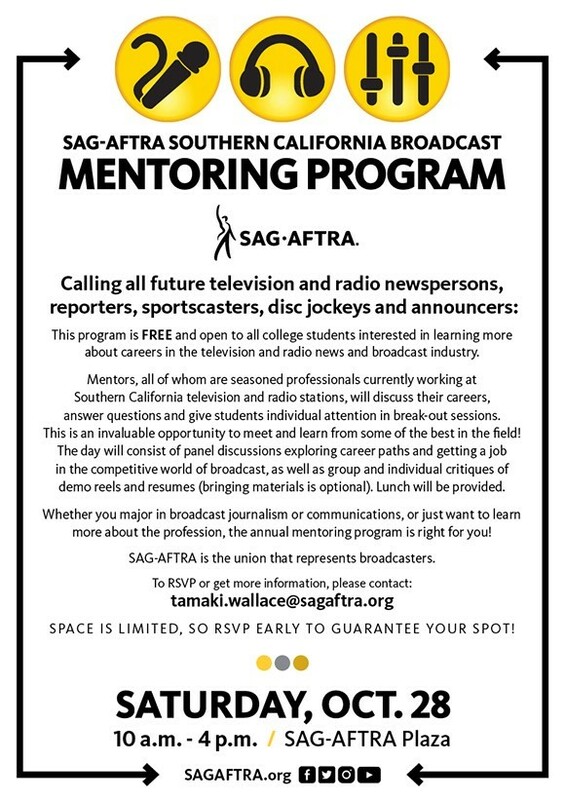 Email Tamaki.Wallace@sagaftra.org to RSVP and for location details. Are you interested in applying for Federal Government Jobs?